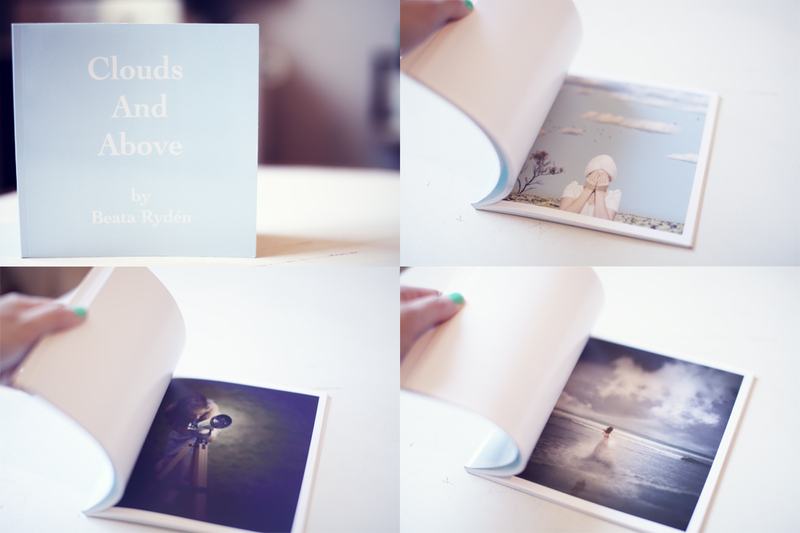 Clouds and Above is a small, square book filled with Beata Rydén´s most dreamy, poetic and imaginative images. The book has a light blue softcover and is printed on pearl photo paper. This is a book for anyone who wants to feel inspired, keep dreaming and embrace the power of imagination and creativity. See a preview of the book and place your order here. Cloud: A visible mass of liquid droplets or frozen crystals made of water or various chemicals suspended in the atmosphere above the surface of a planetary body. Above: 1. On top of or higher than; over. 2. In or to a higher place: the sky above. 3. In or concerned with heaven. Click here too see a preview of the book and place your order. © 2019 Beata Rydén All Rights Reserved.